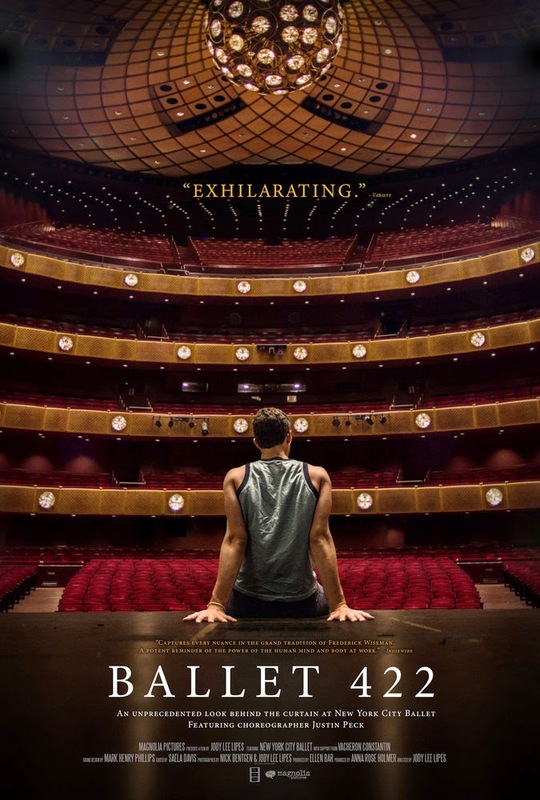 If you've ever wanted to know how a new ballet comes into existence, then look no further than BALLET 422. Director Jody Lee Pipes shows us every aspect – and I do mean EVERY – of what it takes for this art form to move from concept to stage, right down to a scene showing fabric for the costumes being dyed. What we don't get from Pipes “fly on the wall” approach to making this film is the human side of it all. The ballet we witness being born is the work of Justin Peck, a 25 year old dancer with the New York City Ballet. We see plenty of his talent, commitment, and hard work, but there's precious little in the film about who he is, what inspired his work, and what his emotional connection to it is. As much as I get tired of the “talking heads” approach to documentaries at times, this one could have benefited from an interview or two. In fairness to the film, I may not have been the best person to do this review as I don't have much knowledge of or interest in ballet. That said, I've watched and enjoyed any number of documentaries on subjects for which I have no affinity. Again, it's that human thing. There are certainly subjects where this aloof approach works, but I would argue that films documenting the creative process aren't one of them. It winds up reducing what is a vary personal and emotional process into the equivalent of an industrial film, too distant from its subject to really engage an audience. 2 out of 4 stars.